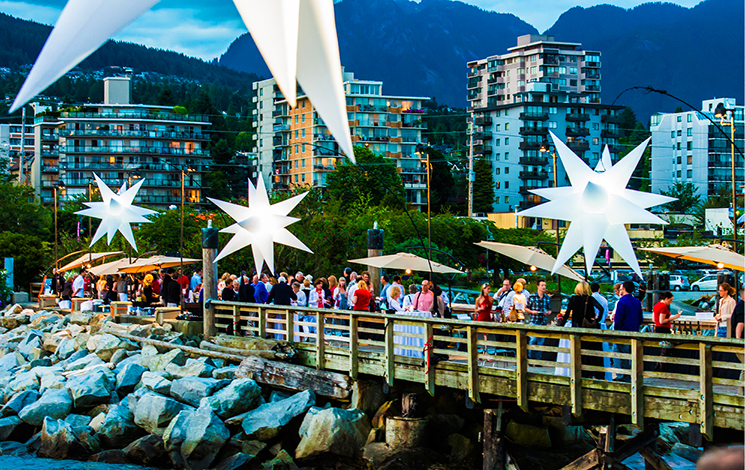 West Vancouver hosts many community events each year including the Harmony Arts Festival, Community Day and Canada Day. The Harmony Arts Festival celebrates the talent of North Shore artists, shares the value of arts appreciation and builds community pride. Celebrate our national day! Come for a picnic in the park and stay for the fireworks. Held on the first Saturday every June, Community Day is a fun-filled day for the whole family. Interested in volunteering at a festival? Check out the volunteer opportunities! For all special events in West Vancouver. Visitors to West Vancouver festivals are encouraged to make smart travel choices, including taking transit, walking or biking in order to avoid traffic and parking issues.